Although 7 long years gone, after the death of legendary Moin Akhtar. But still today he is most searching personality on the internet from Pakistan Showbiz. Who can forget his humour and comic timing. Apart from television, Akhtar also acted in a few films, including Tum Sa Nahin Dekha and Mr Tabedar. 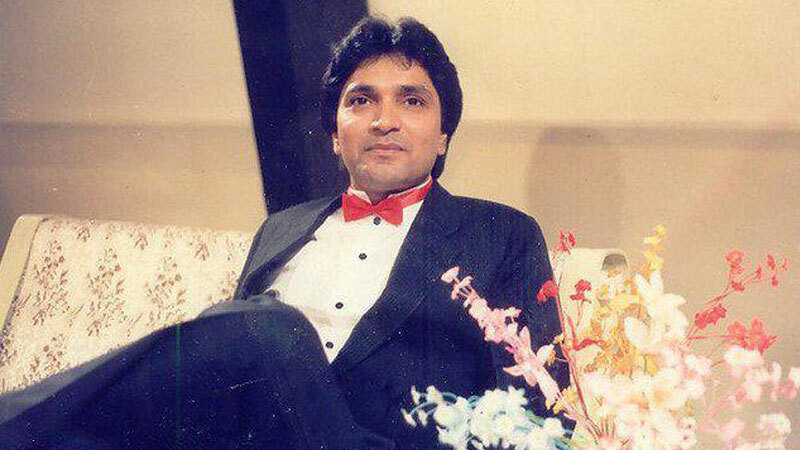 Moin Akhter (24 December 1950 – 22 April 2011) was a Pakistani television, film and stage actor, humorist, comedian, impersonator, host, writer, singer, director and producer who rose to fame in era of Radio Pakistan along with his co-actors Anwer Maqsood and Bushra Ansari. He became a worldwide icon through his screen persona “Rosy” and is considered one of the most important figures in the history of the film industry of the sub continent. His career spanned more than 45 years, from childhood in the Radio Pakistan era of modern film making until a year before his death in 2011. Moin Akhter was born in Karachi, Sindh, Pakistan. His family had migrated to Pakistan after independence in 1947.He usually avoided vulgarity in his humour. Akhter was fluent in several languages, including English, Sindhi, Punjabi, Memoni, Pashto, Gujarati and Urdu. Akhter started his acting career as child actor at the age of 13. He played the character of Shylock in Shakespeare’s The Merchant of Venice in theatre. Moin Akhter’s sense of humour was highly dynamic and versatile. He made his television debut on 6 September 1966, in a variety show on Pakistan Television (PTV) to celebrate the first Defence Day of Pakistan.He started as a stand-up comedian in 1966 by impersonating the Hollywood actor Anthony Quinn and mimicked one of the former president John F Kennedy’s speeches. He has performed several roles in television stage shows, later teamed with Anwar Maqsood and Bushra Ansari. Akhter rose to the national spotlight and gathered critical acclaim for his performance in the drama Rosy, in which he played the role of a female TV artist. Rosy was an Urdu adaptation of the Hollywood movie Tootsie starring Dustin Hoffman. He called it one of his favourite on-screen characters that he had played. In the talk-show Loose Talk, which began in 1995 on ARY Digital, he appeared as a different character in each episode with a total of over 400 episodes interviewed by the TV host Anwar Maqsood, who was also the writer of the programme. Akhter also briefly hosted the game show Kya Aap Banaingay Crorepati?, the Pakistani version of Who Wants to be a Millionaire?. He hosted shows involving major personalities and performed on stage alongside Indian legends including Dilip Kumar, Lata Mangeshkar and Madhuri Dixit.